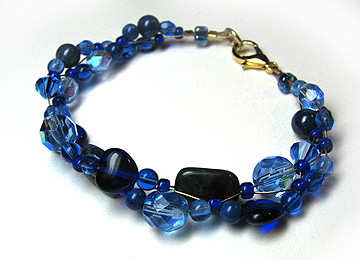 I made it using the same basic instructions that I wrote up for a previous crystal bracelet, except that I changed the color and the density of beading. You will find the instructions at the link above...just gather up any assortment of beads that you like together and get stringing! Wow, that's lovely and adorning too.I love it.Really a perfect christmas gift.It's so stunning and an outstanding work.